Add elements of loss and avoidance to your product. The fear of losing and avoidance of pain are very strong motivators. We experience them almost every day in our lives, and using them in games and products is very powerful. These are black hat techniques: they motivate strongly, but if you overuse them, the user can lose motivation and abandon the product completely. Make a user believe that something belongs to them, and then make them feel that it will be taken away if they don’t commit to the desired action. A good example is a discount code that is given because of some action of the user, but with a very short expiration date. If the user does not use it now, it will be taken from them. 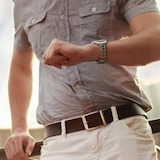 Make a time-limited offer with good rewards for acting fast. This can be a time-limited promotion or a task that the user has to accomplish soon in order to get a great reward. Add elements of FOMO (fear of missing out) if you want convince the users to change their habits. It’s very difficult to change the behavior of users, but there is one simple trick that may help: fear of missing out. If the user is not motivated to take the desired action, show them what they are missing (or might miss if they do not take the action right now). This technique is very strong for the very first contact with your product. Make quitting your product painful because of things that the user has there already. A great example of this strategy is Facebook. Removing an account on Facebook is very painful because you have all your friends on there, and you will lose contact with many of them.